How could you not want to sit in this chair? 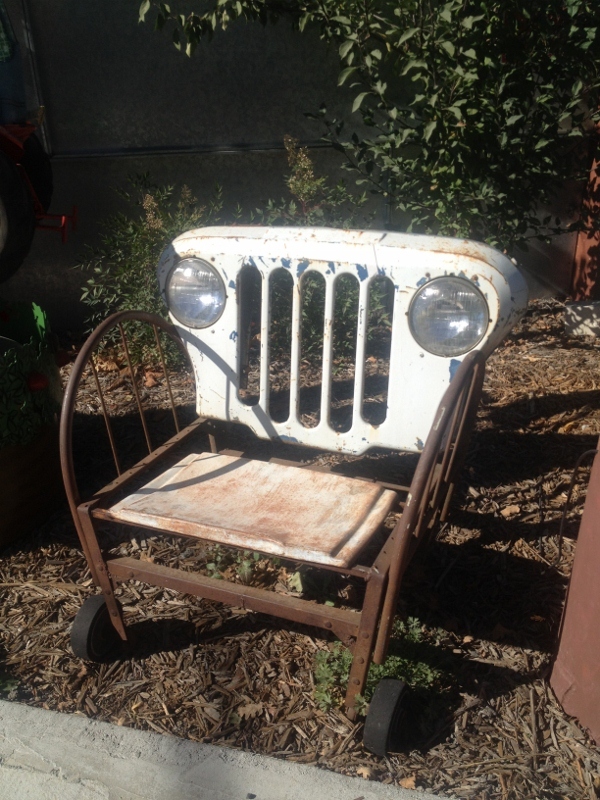 It’s a worthy addition to a funky, artsy garden, hand-constructed from reclaimed metal parts and with a grill from a Jeep giving it a quirky personality (assuming a chair can be said to have a personality). This piece was found at Renga Arts, http://www.rengaarts.com/, a gallery in Somona specializing in art made from recycled and reclaimed materials.